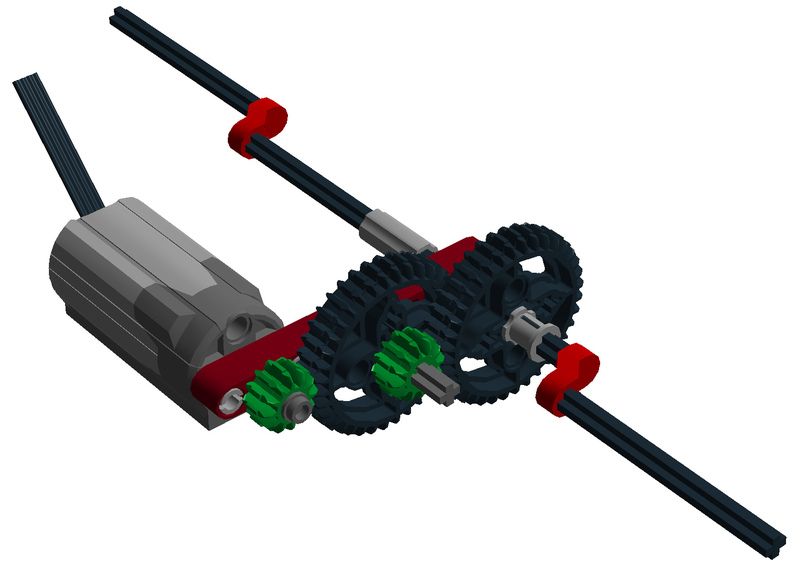 It’s easy to get your Kinetic Creature walking with a Lego motor, because Lego axle pieces fit right where the wire or gear-kit normally goes. Here’s a photo inside the back. 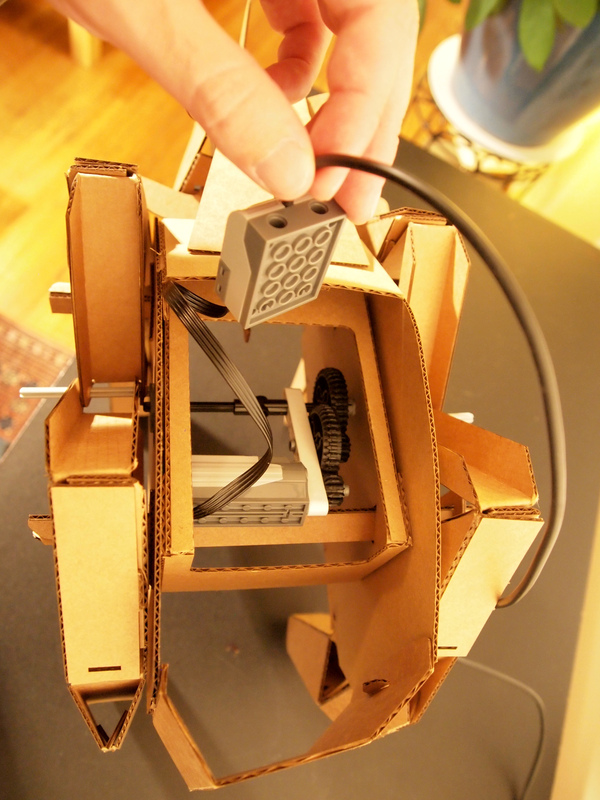 This gets your Kinetic Creature walking using Lego power, now it’s time to give it some brains. There are many ways to do this! We heard some great suggestions from kids at the fair for inventions using Mindstorms or Lego NEXT. We used “Lego WeDo,” because, well, we had a set on hand. 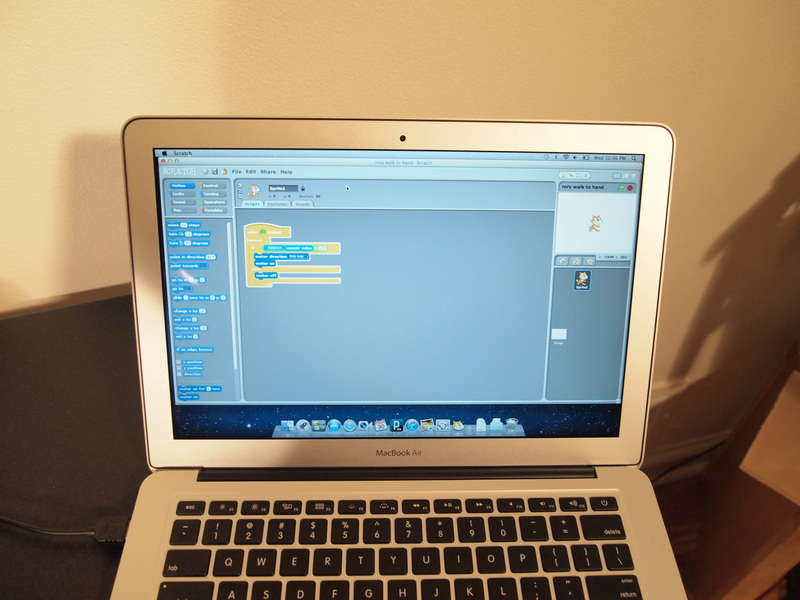 The nice thing about Lego WeDo, is it includes things like a Lego accelerometer and a Lego distance sensor, and you can program and drive it with Scratch! The program here simply says, “If distance sensor reads less than 100, turn the motor on, else, turn the motor off.” This basic command makes Rory walk forward if you put something in front of her nose, like your hand or a carrot. We taped the distance sensor underneath Rory’s snout. That’s all for now, we look forward to seeing what you can do!